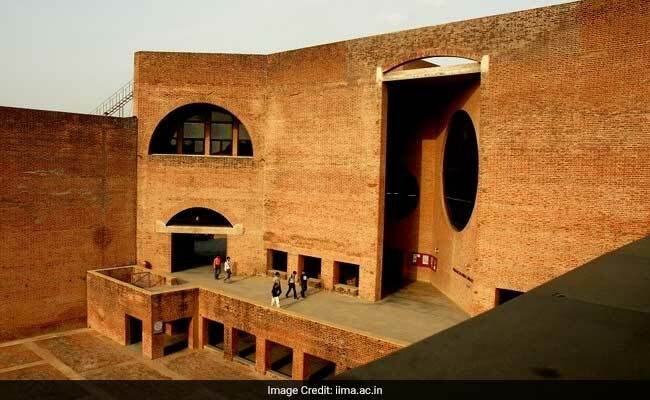 The final placement process for the Class of 2019 of the Post Graduate Programme (PGP) in Management at IIM Ahmedabad was successfully completed recently. Firms from multiple domains participated across the three clusters in final placements, with students being placed across more than 23 cohorts. 139 firms participated with 184 different roles in the placement process in 2019. Firms which made the most offers on campus included Accenture Strategy, The Boston Consulting Group and Flipkart. Accenture Strategy made the most offers (including Pre-Placement Offers) at the end of the final placement process with 24 offers, followed by BCG with 20 offers. Among the investment banks, Avendus was the largest recruiter, making 9 offers, closely followed by JP Morgan with 8 offers. In the sales and marketing domain, HUL extended the most offers – 5, followed by Mondelez and Wipro Consumer Care with 3 each. With 9 offers, the Aditya Birla Group was the largest recruiter in the General Management cohort. In the Retail B2B and B2C cohort, Flipkart extended the most offers – 14, followed by Amazon with 11. In the Consumer Tech cohort, Paytm was the largest recruiter with 10 offers, followed by Microsoft – 8. The placement process was conducted in two stages. The first was the laterals process where firms interviewed students with prior work experience and offered them mid-level managerial positions. 36 firms hired from diverse sectors such as technology, banking, consulting, general management and analytics. As in previous years, students were provided the flexibility of making “dream” applications to firms of their choice in a subsequent cluster even with an offer in hand. There were 143 dream applications this year. This gave students the flexibility and choice to build careers in sectors of their preference. Students also had the opportunity to work under the mentorship of Centre for Innovation, Incubation and Entrepreneurship (CIIE), IIM Ahmedabad on their entrepreneurial ideas. Firms from different sectors and geographies participated in the process at IIM Ahmedabad. Recruiters in the management consulting domain included Accenture Strategy, A.T. Kearney, Bain & Co., McKinsey & Co., Monitor Deloitte, Oliver Wyman and The Boston Consulting Group among others. Prominent recruiters in the Investment Banking and Markets space include Barclays, Citi, Credit Suisse, Goldman Sachs, HSBC and JP Morgan. This year, the Private Equity and Venture Capital (PE/VC) cohort witnessed a 200% increase in participating firms vis-a-vis last year and included recruiters like Matrix Partners and SAIF Partners. The Banking, Financial Services and Insurance recruiters included firms like American Express and FinIQ. Sales and marketing roles were offered by regular recruiters like HUL, Nestle, P&G, Reckitt Benckiser and Wipro Consumer Care among others. The General Management cohort saw participation from Aditya Birla Group, C.K. Birla, RPG Group and Tata Administrative Services among others. The Consumer Services cohort saw participation from firms like Etihad Airways, IndiGo and Tata Sky. The Consumer Tech cohort saw participation from firms like Microsoft, Ola, Oyo Rooms, Paytm, Uber and Zomato among others. Firms which participated in the Laterals process included Flipkart, Lodha Group, Microsoft, EY Parthenon, Uber and Wipro Global. 2 students opted out of the placement process to work on his own venture, under the guidance and mentorship of Centre for Innovation Incubation and Entrepreneurship (CIIE).